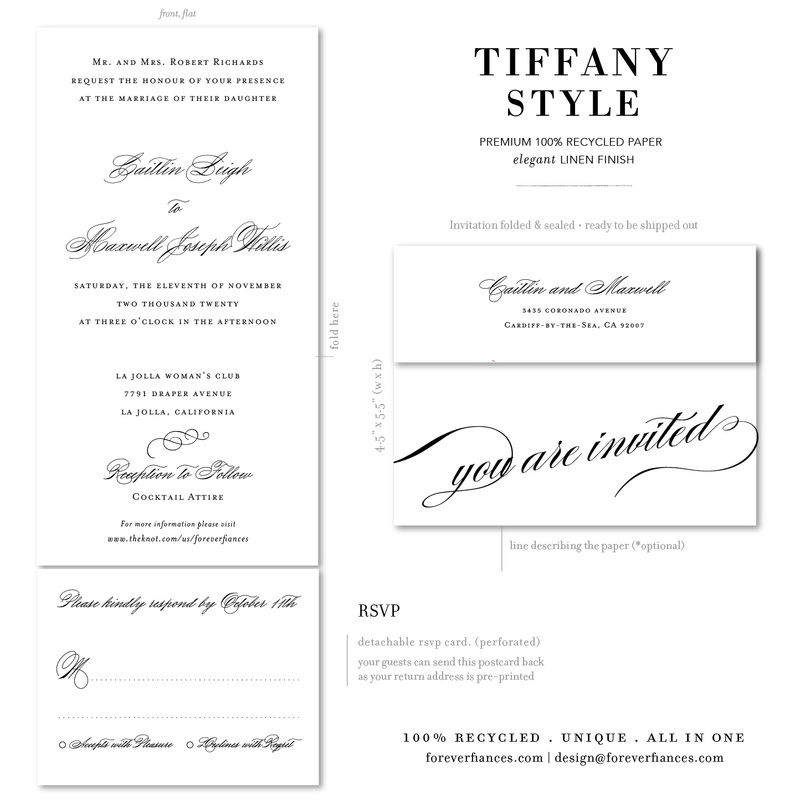 Make a bold statement by choosing these luxurious Tiffany Style wedding invitations. Elegant play of script fonts and Classic ForeverFiances fonts create a superb invitations. Printed on premium 100% recycled paper, in California. Matching enclosure cards, save the date cards, place cards, and thank you cardsare also available.